Brian Cadd is a bona-fide music legend. Platinum album seller. ARIA Hall of Famer. Multi-award winning songwriter. Recipient of an Order of Australia (AM). This powerhouse singer and piano player still rocks in today’s retro-pumped music business and is as energised and creative as ever. Recently Brian returned to his old stomping ground in Nashville to record Silver City under the masterful guidance of producer Mark Moffatt, and has relocated to the heart of his musical influences Woodstock NY where he is embracing the musical culture and connections of the area. 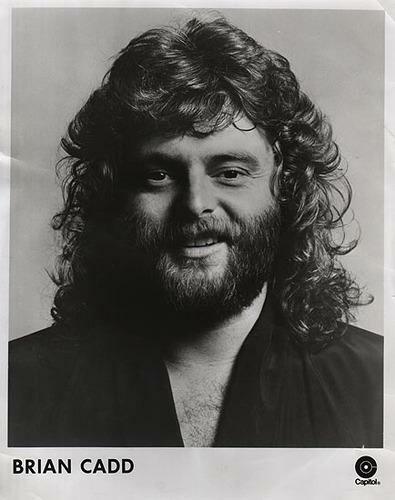 Brian Cadd's career began with the iconic Australian band The Groop in 1966 and he wrote all of their many hit singles and albums including Woman You’re Breaking Me and Such A Lovely Way. He then formed Axiom with Glenn Shorrock, heavily influenced by The Band and dubbed Australia’s first supergroup, he was the primary songwriter and penned hits including Little Ray of Sunshine, Arkansas Grass and My Baby’s Gone before the band broke up in England in 1969. Returning to Australia he joined Fable Records as head of A&R and chief producer. Fable launched a rock label called Bootleg Records in 1972 and Brian ran the label as well as being its’ first artist. The label became the most successful independent record company in the history of Australian popular music up to that time. The next few years saw many gold and platinum records as a solo artist and an array of prestigious awards for film scores, title songs and TV themes. In addition he produced many acts and wrote much-loved hits including Ginger Man, Let Go, Don’t You Know It’s Magic and Alvin Purple. During this period, following the enormous success of his first eponymous album Brian Cadd, he recorded several more giant albums including Parabrahm, Moonshine and the platinum soundtrack to the worldwide-acclaimed cult surf movie Morning of the Earth. In 1976 he was signed to Capitol Records as an artist and moved to Los Angeles. For the next twenty years he worked in all aspects of the international music scene from writing, production, publishing, management and the planning, development and administration of several successful music production companies. Additionally he created Fairydust Music, a worldwide publishing company now owning in excess of three hundred song copyrights. During this time he landed cuts with Joe Cocker, The Pointer Sisters, Ringo Starr, Bonnie Tyler, Glenn Campbell, Charlie Daniels, Dobie Gray, The Flying Burrito Brothers, Little River Band, Yvonne Elliman and many more. In 1989 Cadd relocated to Nashville where he built the Salad Bowl Studio facility and owned and operated several successful music production companies. For seven years he participated in the enormous explosion of country music onto the national and then international music scene. During this period he also wrote for, produced and ultimately joined the legendary Flying Burrito Brothers alongside original members Sneaky Pete Kleinow and Chris Etheridge. The band released the album Eye of the Hurricane and toured the US and Europe extensively over the next several years. Brian moved back to Australia in 1997 where he remained for the next 20 years, still rocking and playing to the huge audiences nationwide. In 2007 he was inducted into the Aria Hall of Fame and in the same year was inducted into the Songwriters Hall of Fame. In 2018 he was awarded an Order of Australia (AM), which he described as an “amazingly different kind of honour”. In February 2019 Brian released Silver City, an album that takes his musical history and consolidates it into a remarkable journey. Produced in Nashville by Mark Moffatt, Silver City forges the path that began when Brian first heard The Band’s Music from Big Pink in 1968 in the Easybeats’ London flat which recalibrated his destination as a songwriter. The music of Brian Cadd has endured since the 1960s. Silver City is testament to his relevance today. Brian Cadd remains one of Australia’s greatest treasures; a true Statesman of songwriting and recording.